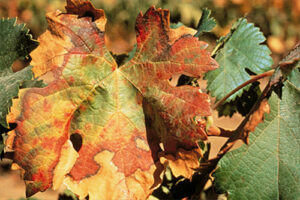 Like any other plant species, grapevine is exposed to environmental influences, diseases and pests. 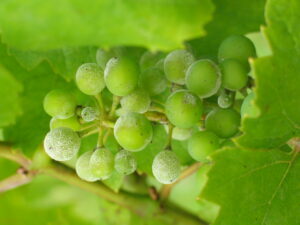 There are several vine and grape diseases and pests around the world. One of the most destructive vine pest in history was Grape phylloxera, who has damaged and destroyed several vineyards in Europe. It came to Europe from North America in late 1850s. 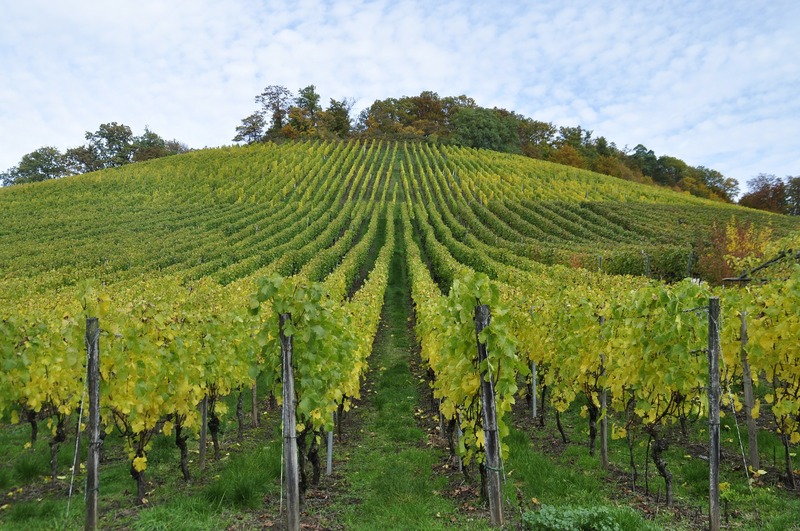 Since American vines were resistant to those pests, vineyard maintainers solved the problem by grafting European vines to American vines. Today you can find European-American grafting planted all over Europe. One of the most common grapevine diseases and pests around the world are listed below. Fungal diseases are the largest group of plant pathogens. After infection they spread around with the wind and the rain, insects and other organisms can also be transmitters. Signs of infection by fungi are freckles, necrosis, cover moldy, rotting and withering. Most common fungal grape diseases are: downy mildew, powdery mildew, gray mold, dead arm, and black rot. Phytoplasmas are according to the cell structure similar to bacteria. They live in plant phloem tissue. Viruses are microscopic pathogens living inside the living cells. After entering into the vines they spread into all underground and above ground plant parts. In the nature, viruses are transmitted through vectors – insects, mites and nematodes. 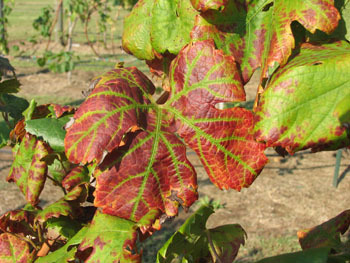 Changes that appear in the case of virus and phytoplasma diseases are: changes in the shape, size and color of lamina and changes on the vine shoot and clusters. Some of the most known phytoplasma vine diseases are: Flavescence dorée (FD), Bois Noir (BN), Grape leaf rust mite and Grapevine yellows (GY). Most common virus vine disease are: Feanleaf virus (GFLV) and Leafroll (GLRaV-1, GLRaV-2, …). Bacteria are simple single-celled organisms that grow rapidly. 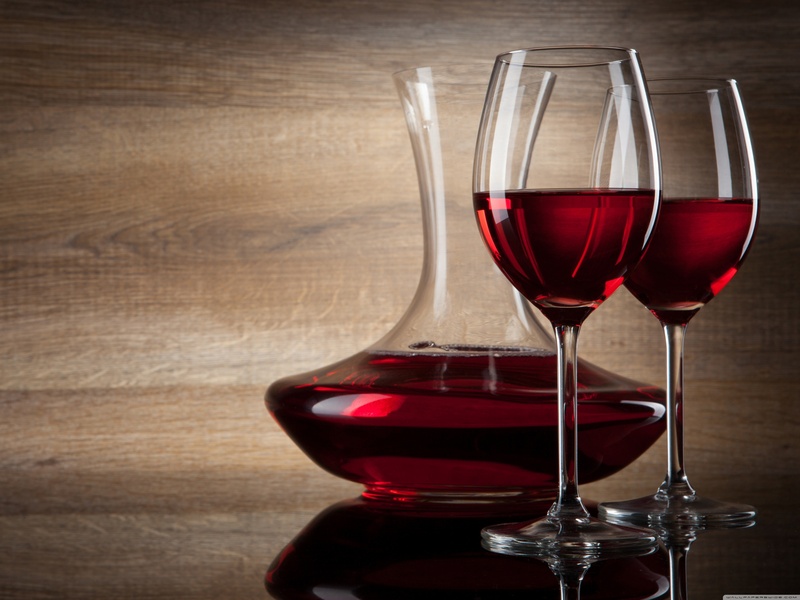 They penetrate into the vines through natural openings of vines, or through vine wounds. Most common signs of bacterial infections are inflammation of the tissues and formation of cancer wounds. Most known bacterial vine diseases are: Happy disease, Crown gall and Pierce’s disease. 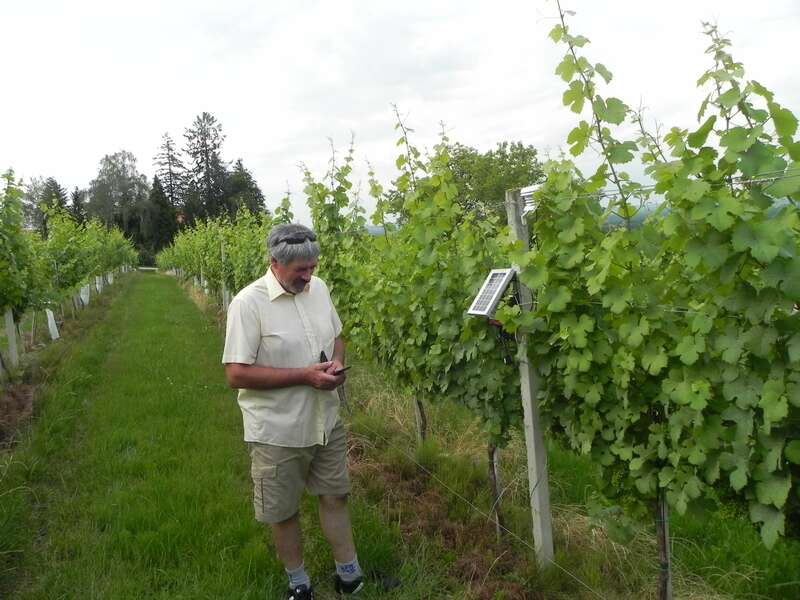 Various pests are jeopardizing vines, but only some of them are responsible for the economic losses. Most of them are insects, and in the less cases also mites and nematodes. Pests are making direct and indirect damage. They eat underground and above ground vines organs and are transmitters of fungal, virus and phytoplasma diseases. 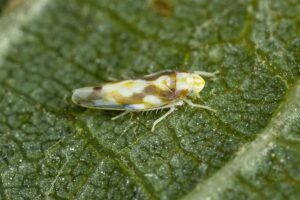 Pests that threaten grapevine are: butterflies, cicadas, scale insects, aphids, thrips, beetles, mites, etc. One of the most dangerous cicadas for grapevine is American grapevine leafhopper transmitter of Flavescence dorée.